Preston Corporate Accounting is a Certified Practicing Accounting firm based in Como, Western Australia. We provide expert accounting, tax, business advisory, and superannuation services for small and medium businesses that operate throughout Western Australia. Our tight knit team has a combined 75 years of accounting and business experience and so we intimately understand the many and ever changing accounting challenges faced by small and medium businesses. We work closely with our clients in order to assist them in achieving their financial, business and lifestyle goals. The face of business is constantly shifting and we pride ourselves with our ability to evolve and adapt to suit your changing needs. We strive to implement innovative solutions in order to improve and expand the services we can provide to you. As technologies and businesses change we adapt to provide increasingly better services. We go beyond basic accounting services and work with you to bring the greatest potential out of your business. We take care of the small details so you can dream big. ​Whether your company is gearing up for growth, arranging for merger or acquisition, preparing for listing, planning for succession, or simply structuring for maximum protection and advantage, we can assist with insightful, innovative advice and effective strategy. Preston Corporate was established in 2001 and quickly gained a reputation for providing high quality accounting advice and services to Perth's small and medium companies. In 2015, Preston Corporate acquired Accounting for Small Business Pty Ltd, one of Perth's top small business accounting firms. What this acquisition means is that we are able to provide high quality accounting services with the relevant skill and experience to all possible clients, from start-ups through to large, publicly listed companies. ​Our team has decades of combined in-depth, proven experience in small business consulting, training, tax return, management, tax agent and administration. ​Keith has over 17 years of experience in accounting; preparing individual, partnership, trust and company tax returns. He also has 19 years of experience business management, training and administration in the retail, hospitality, human resources, information technology and community services fields. He has worked in both CPA and IPA public practices as a tax consultant. He is a highly skilled small business adviser and is a member of the National Tax and Accountants’ Association and the Institute of Public Accountants. Keith puts his in-depth experience, skill and knowledge together to provide Accounting for Small Business clients and seminar attendees in Perth with the training and consulting they need for Budgeting, Business Structures, Taxation Planning, Cash Flow Management, Financial Management and Bookkeeping. Keith works with Xero, MYOB, Quickbooks, FilePro and Cashflow Manager software, meaning he is able to seamlessly and easily work with your software for added support and peace of mind. He is also our in-house Fringe Benefits Tax (FBT) expert and is relentlessly committed to ensuring that Accounting for Small Business clients have all their bases covered as this is one area many small businesses overlook. Ultimately, Keith’s mission at Accounting for Small Business is clear and consistent. He works tirelessly to provide individual and business clients with pragmatic, realistic and cost-effective ways to grow their small businesses in the present and for the future. You can contact Keith by telephone on 9367 4199. Kevin is a Certified Practicing Accountant and a member of the National Tax and Accountants’ Association. He has worked in public practice for over 22 years since graduating from Curtin University with a Bachelor of Commerce. Kevin works with clients from a diverse range of industries include transport, building and construction, property development, hospitality, trades and professional services. His particular expertise and interest is in business financing; assisting businesses to plan their financing and cashflow requirements, as well as business structures and self-managed superannuation funds. When Kevin is not working with his clients he is following one of his passions. He is an avid traveller and would always be working from overseas if he could get away with it. He is a lover of all forms of sports; football, cricket, Formula One, horse racing, soccer, basketball. If he gets the chance to take time off it’s likely he has combine his two loves and ducked away to see a game. Romana is one of our senior accountants and accounting genius at Preston Corporate. She manages the accounting and tax returns for all of our Self-Managed Superannuation Funds and is a trust and company specialist. She's also known to do a few Fringe Benefits Tax returns, though we are not sure if she really loves them (and we don't blame her one bit). Romana is a Certified Practicing Accountant and has worked in a few practices in the last 20+ years. Having recently completed specialised studies in superannuation and Self-Managed Superannuation Funds to meet the ASIC criteria to provide personal advice, Romana looks forward to continuing to provide clients with quality advice regarding their superannuation needs. Aside from being an amazing accountant, she has a lovely warm personality, is very patience and likes to take the time to make sure you understand what is going on with your affairs. When Romana isn't working hard at her desk, she is being a wonderful mother to her two sons or taking care of her parents. Armed with both talent and a great work ethic, Fritha is dedicated to making life easier for her clients, always willing to do whatever it takes to exceed client expectations. Fritha holds a Bachelor of Commerce with a double major in Accounting and Taxation. With over a decade in practice, she is extremely well versed in MYOB and Xero. Brooke has been a part of the Accounting for Small Business team since early 2011. She has a strong business and bookkeeping background with over fifteen years experiences and appreciates the satisfaction of a job well done. She pays high attention to detail and is committed to providing her clients with the best service. ​While providing bookkeeping services to our clients, Brooke also delivers expert training in Xero and MYOB, and is a Xero Certified Consultant. Sean is our admin genius and your first point of contact. Whether you are phoning, visiting our office or receiving an email from us, generally Sean will be the friendly person you will be dealing with. 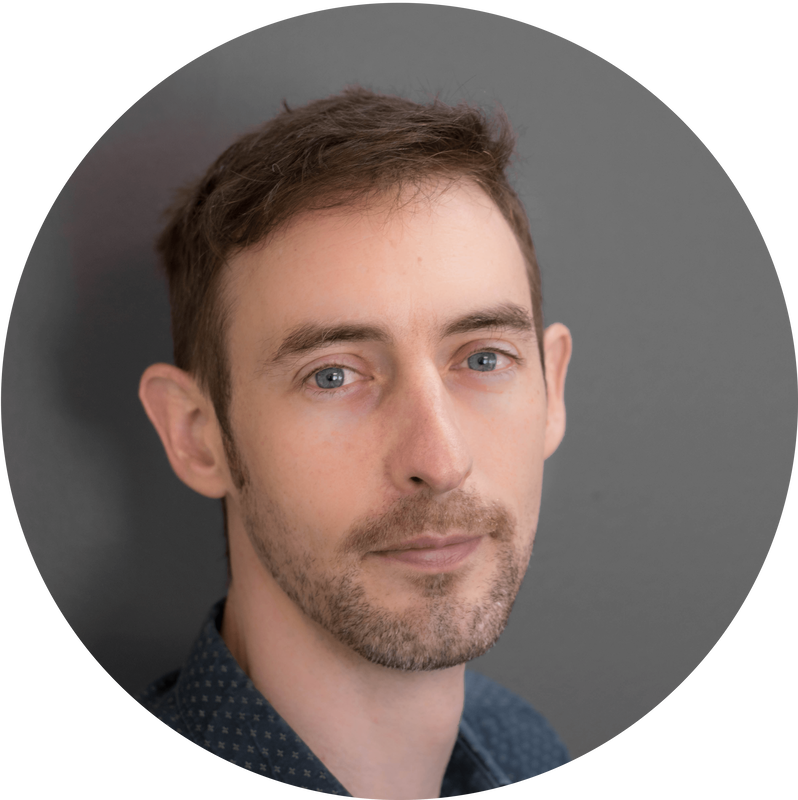 Sean makes excellent coffee (he also picks up an excellent coffee from the café across the street), is a whiz at helping clients, organises our in-house training sessions and makes our office systems run like clockwork. ​Lyn is our expert office administrator who works in tandem with our accountants and bookkeepers to provide you with the best service possible. Lyn has an extensive background in small business administration and is an essential part of the team. Much like Sean, Lyn makes a fantastic coffee and an even better cake to match.